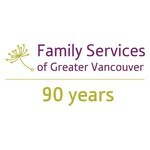 Family Services of Greater Vancouver requests some further information. Family Services of Greater Vancouver issues a tax receipt to individuals. Family Services of Greater Vancouver issues a tax receipt to individuals. Family Services of Greater Vancouver does not issue a tax receipt to organizations.